It’s no mystery that even though the PS4 has better specs than the Xbox One, the user experience is not that great and does not have as many features as the Xbox One. This has brought many disappointments to the PS4 community which feel that Sony has not done anything greatly with the PS4 even since it was released almost a year ago. 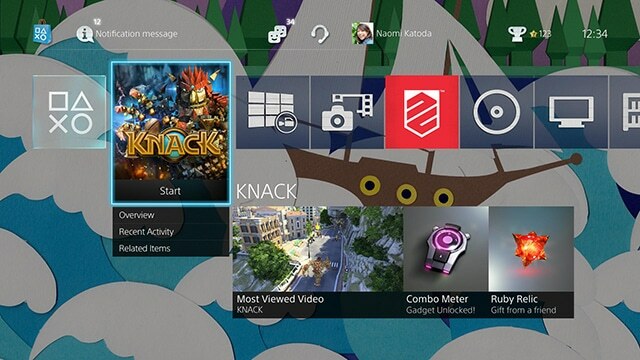 But on Thursday, Sony gave a preview of the PS4’s upcoming 2.0 software update. On its PlayStation Blog Sony unveiled a list of features and screenshots of many major features we will shortly have on our PS4. The new update will bring Share Play, YouTube support, and Themes. On top of those features, the update will brings an USB Music Player that allows PS4 users music from an USB flash drive while playing a game. Unfortunately, Sony states that you won’t be able to copy those music files to the external hard drive and only extensions MP3, MP4, M4A, and 3GP will be permitted. PlaySation 4 will also have the ability to fully back up their system to an external storage which includes settings, save data, screenshots, video clips, download data. Unfortunately, the list doesn’t include the ability to upload videos or DLNA support, which is something many PS4 users are still waiting for after coming from a PS3. One of the PS4 software developer, however, commented that this is not the full lists of upcoming features in the 2.0 and we should see more once the update gets released.